When expecting, it can be nerve-wracking to consider all the changes going on in your life and how to be ready to take care of this new, tiny, amazing creature. In the midst of all the decisions you have to make, one decision should be fairly simple: breastfeeding. As more and more research piles up to reveal the short-term and long-term benefits of nursing, many women do it for the simplest of reasons: it is natural and what women's bodies were designed to do. "Breast is best. Breastfeed your baby at least six months exclusively." Breastfeeding support is not always as available as it could be in the U.S., and many mothers feel a lack of support or knowledge. They experience difficulties with breastfeeding, don't know how to seek help or give up too soon. The American Academy of Pediatricians and the World Health Organization both recommend exclusively breastfeeding infants for at least six months and then continuing to breastfeed with supplemental foods for at least one year. If moms feel like this is an impossible request, they can do two things: first, seek help from a professional lactation consultant or an OB/GYN. Second, remind yourself of all the wonderful things breastfeeding does for your baby and for yourself - including protection from dozens of diseases. The U.S. has among the lowest breastfeeding rates in the developed world. Although 71 percent of U.S. moms start to breastfeed, only 36 percent are still doing it when their child is 6 months old. Among African-Americans, the figures are even lower: only a little over half start breastfeeding, and just 24 percent are still breastfeeding at six months. Yet data reported in recent research and included in materials on federal health websites reveal that 1,000 babies' deaths a year could be prevented if 90 percent of mothers exclusively breastfed for six months. There are also short-term and long-term financial benefits. In the short-term, families save an average of $800 per year or more by breastfeeding instead of formula-feeding. That figure is a drop in the bucket, however, compared to the money saved over a child's lifetime because of reduced disease and health conditions. Those figures range from a couple thousand to over ten thousand dollars saved in health costs because breastfed babies are statistically healthier and less likely to develop a range of health conditions than babies who have not been fed their mother's milk. Many people are already aware of the enhanced immunity that breastmilk provides. This means that the antibodies a mother's body naturally produces to fight off infection and disease are passed along to her baby through the breastmilk, giving her baby the ability to fight off infections that the little one has not even encountered yet. It's almost like a natural vaccine against hundreds of bacteria and viruses without any side effects. This may be the best known benefit, but it's certainly not the only one. The list of health conditions that are less likely to occur to breastfed children grows regularly as more research uncovers links between breastfeeding and lower risks of disease. Children are less likely to be obese, less likely to develop type 2 diabetes, less likely to have respiratory infections and even less likely to develop certain cancers in childhood. Because breastmilk is easier for infants to digest than formula - which uses soy, milk or goat products and is not something your baby's digestive system was designed to process so early in life - diarrhea, acid reflux and gastrointestinal problems are less likely in breastfed infants. In dire situations, breastfeeding is even protective against death, especially in developing countries. In Brazil, for example, formula-fed babies are at 14 times greater risk of death than exclusively breastfed babies. Breastfeeding also benefit babies' brains. Many researchers who have studied the effects of skin-to-skin contact between newborns and their mothers have found that it helps ensure the brain connections in a newborn's brain fully develop. According to one such doctor and researcher, Dr. Nils Bergman, who promotes a form of parenting called Kangaroo Mother Care, "In the first 8 weeks of life, skin-to-skin contact is the most important stimulant for the development of the brain." So there's a long list of benefits to your baby when you breastfeed, but breastfeeding can still feel like hard work in the beginning. If you need some more motivation, consider the ways breastfeeding is better for your body as well - both in the present and in the long-term future. For example, women who breastfeed for a total of two or more years are 24 percent less likely to develop breast cancer. And no study has actually shown detrimental or bad effects to a woman's body from breastfeeding. One of the best immediate effects of breastfeeding involves a hormone called oxytocin that is released in your body when you breastfeed. Called the "love hormone," oxytocin can help ward off postpartum depression, which occurs in lower rates among breastfeeding moms than non-breastfeeding moms. It also constricts, or shrinks, the uterus faster than in non-breastfeeding women. This means your uterus and related lady parts return to what they were before pregnancy much faster than they would without breastfeeding. Plus, oxytocin isn't called the love hormone for nothing: it physiologically contributes to your bonding with your baby. It's a big part of the depth-less love you feel for your baby when you look into his or her eyes, and breastfeeding makes your body make more of it. Just as babies have lower risks for a range of different diseases when they are breastfed, the act of breastfeeding offers protective benefits for mothers in terms of disease risk as well. Breastfeeding moms are less likely to develop type 2 diabetes, rheumatoid arthritis, high blood pressure, heart disease, osteoporosis and cancer of the breast, uterus, endometrium and ovaries. One study in the Journal of Human Lactation found that women who breastfed at least 33 months over their lifetimes had stronger hip bones and tibia bones (in the leg) 16 to 20 years after the last time they breastfed compared to women who breastfed less than a year. Even the women who breastfed for "long" or "medium" durations - both over a year - had much greater hip strength, stronger tibia and femur bones in their legs and overall greater bone mineral density than women who breastfed less than 12 months. Can Breastfeeding Limit My Diet? While there is very little that a mom should not eat while breastfeeding, it is important to be conscious of what you are putting into your body because it will end up in your breastmilk as well. The most common questions women have about what they can eat or drink involve caffeine, alcohol, spicy foods and milk products. 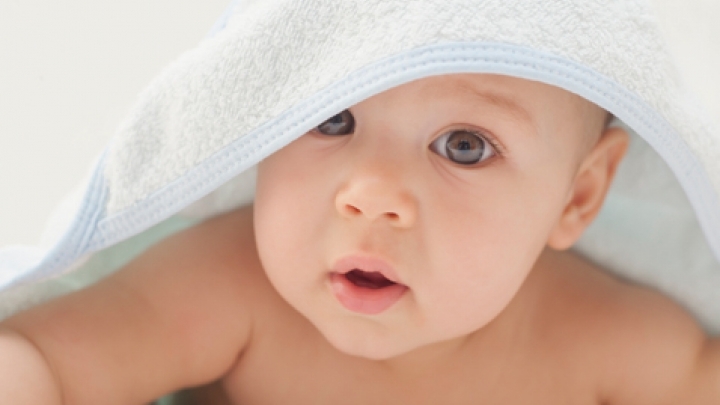 In terms of milk product and spicy foods, you should follow your baby's cues. If your baby appears to be experiencing a lot of reflux after you have had a milk product, it is possible that your child is lactose-intolerant when it comes to cow's or goat's milk. Babies can also becomes extra gassy after a mother eats foods that can produce a lot of gas, such as broccoli. Some mothers report that their children experience discomfort after the mom has eaten spicy foods, but this information is based on individual stories and vary greatly from one child to the next. If you have concerns about specific items in your diet and their impact on your baby, talk to a doctor, lactation consultant or a nutritionist or dietician who specializes in infants. You may have to track the foods you eat and your child's symptoms to identify whether something in your diet is causing distress to your little one. Most of the time, however, a woman can eat everything she ate during pregnancy and more (such as lunch meat and soft cheeses that she may have skipped while pregnant) without any problems. The jury is still out on the extent to which caffeine can help or hurt your child. Caffeine in moderation has been shown to have a number of health benefits for adults, and it is used in hospital neonatology units to stimulate breathing in newborns with apnea, where they stop breathing for a time. Most research has revealed that small to moderate amounts of daily caffeine are not harmful to your child, and a good rule of thumb is not to exceed 300 mg of caffeine - or about three regular cups of coffee - each day. It's important to remember, however, all the places you may be getting caffeine besides coffee, such as tea, soft drinks, chocolate and certain foods with caffeine added. Alcohol can also be transferred to breastmilk, so if you want to have some drinks, you should plan ahead. Generally, one normal-sized glass of wine (4 oz) or a single beer does not pose a risk to your baby. If you want to have more than that, you can pump some milk ahead of time to be available for your baby if he or she becomes hungry while you still have the alcohol in your system. However, there is no need to "pump and dump" if you have more than a single drink. You can wait until your body metabolizes the alcohol and still breastfeed afterward. Breastmilk "test strips" can be purchased that let you know how much alcohol is in your breastmilk so you can determine when it is safe to breastfeed your child. Keep in mind that if you abstained from alcohol throughout your pregnancy and you are breastfeeding, your tolerance level is likely lower than pre-pregnancy, so you risk becoming intoxicated much more quickly and easily than you may have before your pregnancy. Many lactation consultants and doctors believe that formula feeding except in emergencies where a mother is incapable of breastfeeding - such as with an HIV positive mother - can be harmful in small ways to a baby. Gail Gresham, a lactation consultant in Austin, Texas who has worked with state agencies in promoting breastfeeding, said it's important for people to discuss the risks of not breastfeeding just as risks about other health behaviors are discussed. "We don't hesitate for one second to talk about the health risks of smoking, drinking, etc.," Gresham told dailyRx. "[Not breastfeeding] is that serious and I don't think people realize it because we usually don't see immediate damage from artificial baby milk." Instead, the only damage that can be calculated are the higher risks for health conditions such as leukemia, celiac disease, obesity, diabetes, asthma and SIDS when a child is not breastfed. Meanwhile, the benefits that children gain from breastfeeding do not taper off after a period of time. The immediate benefits continue for as long as the mother breastfeeds her child, and the long-term benefits are enhanced by having been breastfed at least to the recommendations of the AAP and WHO. There is no recommended time to wean children from the breast. WHO recommends that mothers breastfeed for a minimum of two years, and both WHO and American medical groups suggest breastfeeding until the mother and child mutually decide to stop. Although it may seem culturally unusual for women to breastfeed their children into toddlerhood, there is no medical, psychological or health reason not to. No scientific data suggests that a 3-year-old or 4-year-old will experience detrimental physical, mental or psychological effects if they are still breastfeeding. In short, as the Centers for Disease Control and Prevention put it in their Healthy People 2010 report, "Breast milk is widely acknowledged as the most complete form of nutrition for infants, with a range of benefits for infants' health, growth, immunity and development." If feeding your baby the safest, healthiest and most natural substance possible is among your most important priorities as you prepare for your child's arrival, that's one less decision you have to make on delivery day. "Breastfeeding and the Use of Human Milk" "Breastfeeding" "Healthy People 2010, Centers for Disease Control and Prevention" "Longer Cumulative Breastfeeding Duration Associated with Improved Bone Strength" "Can Consuming Caffeine While Breastfeeding Harm Your Baby? An Interview with Ruth Lawrence, PhD" "Kangaroo Mother Care: An Interview with Dr. Nils Bergman by Marit Olanders"
Can't Stub Your Big Toe While Sleeping - Can You?